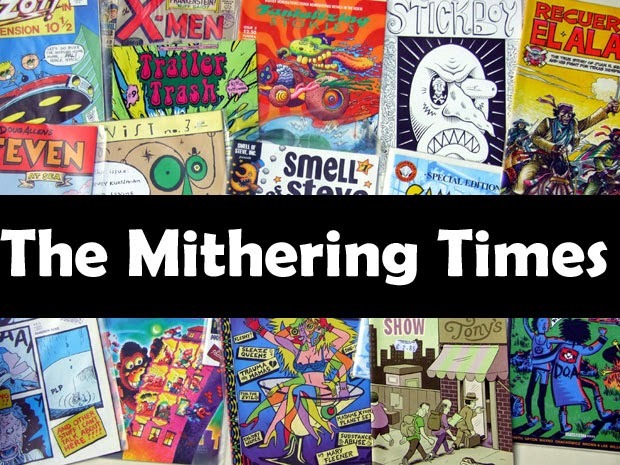 the mithering times: Flat-top Fucker. 27012011224, originally uploaded by mithering. Well, apologies all round for the lack of regular updates here. Many reasons, not all worth going into on here, but they do include new phone not talking properly to Blogger or flickr, newer projects and the system in work not talking properly to Blogger, flickr etc. But, I have managed to create a 'work around', so will now be able to do what I've done in the past and blog from my desk at dinner time. (Home-made hummus butty, since you asked). Speaking of work, the above graffiti appeared on a boarded-up window outside work where everybody stands around smoking. Topical? Yes, because as chance would have it a new temp has started work on the floor above who could well have been the guy in Kirsty MacColl's titular chip shop. 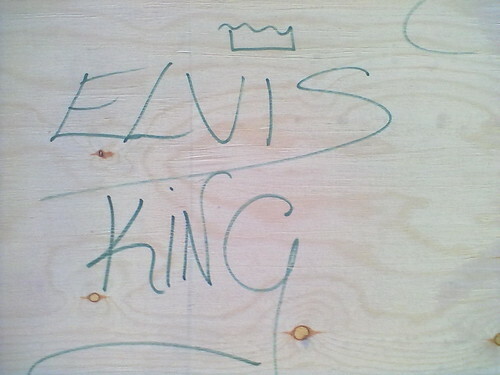 I really like the crown on top of the 'i' of Elvis. The King would have loved it. (And just in case you are that temp and you're reading this and thinking of applying a blue suede shoe to my skinny white arse, Flat Top Fucker was a song by Jackknife and I just couldn't resist using it as the title of this post). Up Against The Wall XXIV - Stop Pickin' Yer Nose.